Once in the Dominican Republic—in addition to interning of course—I plan on taking in as much of the culture as possible (which, for me, largely means food!). 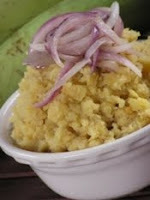 I cannot wait to try authentic mofongo, a fried plantain dish stuffed with various meats, and mangú, a boiled plantain dish, usually served for breakfast. The program recommends that we don’t eat street food for health purposes, so I’ll be sticking to the cuisines of established restaurants to fulfill this desire. Besides eating, I plan on travelling throughout the entireisland. (After all, when again will I be able to do such extensive travelling?). 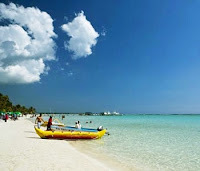 The first place that I want to visit is pretty touristy—Boca Chica, the beach nearest Santo Domingo. I’ve done some research on Boca Chica and found that in addition to the immaculate white sands, the depth of the crystal clear water rarely changes and there are no waves. Sounds like paradise to me!